Renfrewshire-Wide Credit Union would like to invite members to their AGM that will take place on Monday 12th March 2018 at 7pm in the Glynhill Hotel Renfrew. Over the past 4 years Renfrewshire-Wide Credit Union has been working with the Connect4Renfrewshire (C4R) project to help members with Energy advice, budgeting, money management, and helping them access ethical financial products. How can the C4R project help you? Connect4Renfrewshire launched in December 2013 and has supported 1800 Renfrewshire households to save money and ease the load. C4R have experienced workers who are available to help with money, budgeting and energy needs. Connect4Renfrewshire is funded by Big Lottery and partner agencies, C4R is a direct response to welfare reform and the challenges that it presents to people living in social housing. By providing coordinated support, C4R seeks to help residents that are experiencing financial hardship and those that have been identified as being at risk. Do you think you could be paying less for your energy bills? If you are a Renfrewshire-Wide member and you think the C4R project could help you with any of the above, give us a call on 0141 889 7442. You can also pop in and have a chat with Calum our C4R representative. International Credit Union (ICU) Day® celebrates the spirit of the global credit union movement. Thursday 19th October 2017 Credit Unions all over the world come together to celebrate the great work that credit unions carry out. 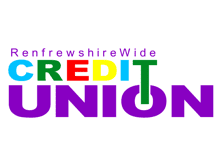 Renfrewshire-Wide Credit Union (RWCU) established in 2006 by a group of volunteers from different local areas decided to work together, to ensure that everyone who worked or lived in Renfrewshire had access to a credit union. From their hard work Renfrewshire-Wide Credit Union was born. Ten years later Renfrewshire-Wide Credit Union is proud to be serving our community to provide access to affordable, ethical financial services, as well as working with local schools to educate our young people on the benefits of saving via the RWCU Cash Cubs program. 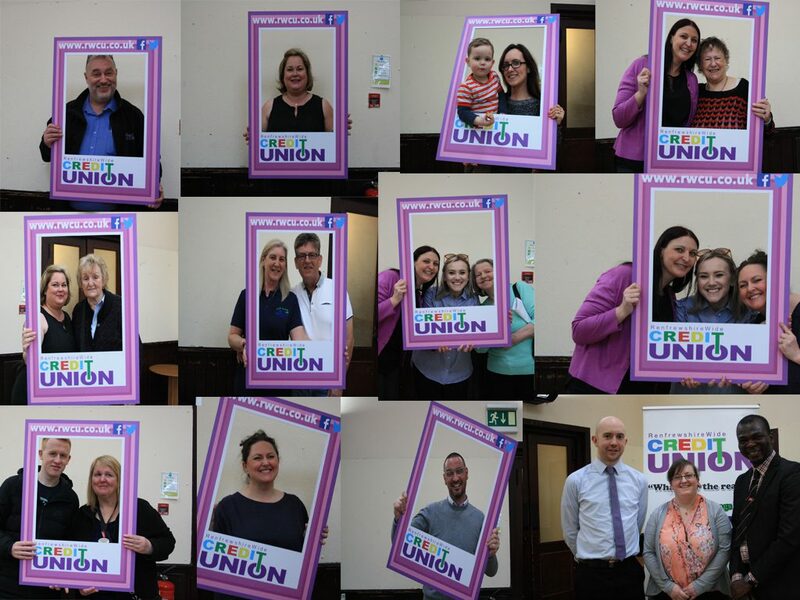 A credit union is a ‘mutual’ organisation, this means that it is owned by its members and all the benefits are for members alone, keeping the money in Renfrewshire for the benefit of the people of Renfrewshire. We provide affordable loans at fair rates of interest to meet every day needs, such as replacing a broken washing machine right through to a home extension. We also provide a range of savings plans and other accounts that help members save and manage their money. For more information on the products and services available please visit www.rwcu.co.uk for more information. RWCU is a member of the Financial Services Compensation Scheme established under the Financial services and Markets act 2002. In respect of deposits with a UK office, payments under the scheme are limited to 100% of the first £85,000. This may be subject to change please visit www.fscs.org.uk for the latest information. RWCU is authorised by the Prudential Regulation Authority and regulated by the Financial Conduct Authority (FCA) and the Prudential Regulation Authority (PRA) 446350.
https://i0.wp.com/www.paisley.org.uk/wp-content/uploads/2017/10/Louise-Houston-Paula-Ferrier-Jean-Graham.jpg?fit=1000%2C1500&ssl=1 1500 1000 Brian McGuire https://www.paisley.org.uk/wp-content/uploads/2015/09/paisley-logo-trans.png Brian McGuire2017-10-18 14:31:182017-10-18 14:31:18International Credit Union (ICU) Day® celebrates the spirit of the global credit union movement. What Connect4Renfrewshire brings together a wide range of services working with partners such as Renfrewshire Council, RAMH, Renfrewshire-Wide Credit Union and RAMH Lifeskills Furniture Re-use. Do you think you could be paying less for your energy bills? If you are a Renfrewshire-Wide member and you think the C4R project could help you with any of the above, give us a call on 0141 889 7442. You can also pop in and have a chat with Calum our C4R representative. Renfrewshire-Wide Credit Union’s Super Summer Special is back by popular demand! https://i2.wp.com/www.paisley.org.uk/wp-content/uploads/2017/05/Super-Summer-Special.jpg?fit=791%2C1024&ssl=1 1024 791 Danielle McGuire https://www.paisley.org.uk/wp-content/uploads/2015/09/paisley-logo-trans.png Danielle McGuire2017-05-25 18:29:302017-05-25 18:30:04Renfrewshire-Wide Credit Union’s Super Summer Special is back by popular demand! Starting Monday 5th of June 2017 Renfrewshire-Wide Credit Union’s (RWCU) Linwood outreach is moving from the Tweedie Hall in Linwood to the Linstone Hub. The partnership with Linstone has enabled the move and will help the tenants and other members in the Linwood community gain access to the products and services that are available from Renfrewshire-Wide Credit Union on their doorstep. 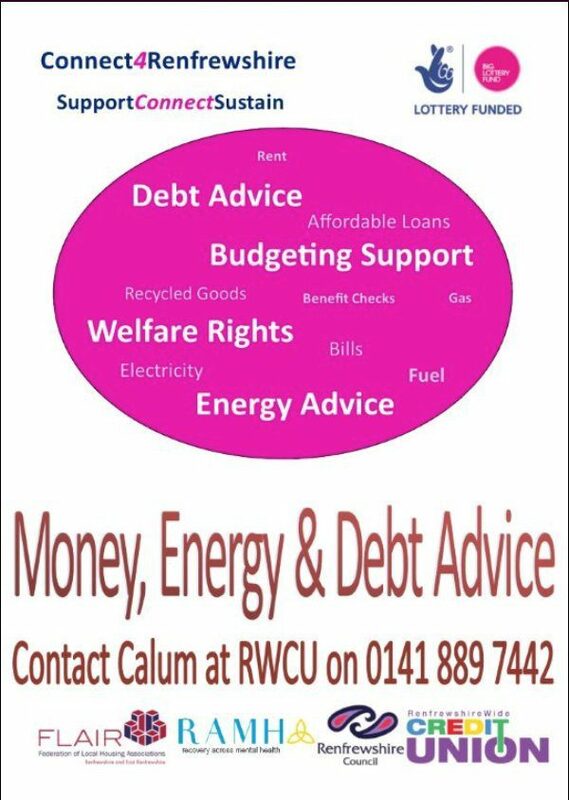 RWCU was established in 2006 after a group of volunteers from the local areas of Linwood, Erskine and Renfrew decided to work together to ensure that everyone who worked or lived in Renfrewshire had access to a credit union. From their hard work, Renfrewshire-Wide Credit Union was born. Ten years later Renfrewshire-Wide Credit Union is proud to be serving the community to provide access to affordable, ethical financial services, as well as working with local schools to educate our young people on the benefits of saving via the Renfrewshire-Wide Credit Union CashCubs program. RWCU’S Marketing Officer, Paula Ferrier, said: “Our aim at Renfrewshire-Wide Credit Union has always been to promote ethical, affordable financial choices. We believe that our credit union services and products offer the people of Renfrewshire a great value, community based alternative to the poor deals offered elsewhere. You don’t have to be a Linstone resident to come along; the outreach is open to the whole community of Linwood. If you are interested in joining the credit union or would like to find out more information on the products and services that are available, then pop in on Monday 5th of June for a cup of tea and chat with our Linwood volunteers Margaret Gourlay and Elizabeth Anderson. Renfrewshire-Wide Credit Union (RWCU) would like to invite you along to their annual general meeting on Monday the 27th March 2017 at 6pm in the Wynd Centre in Paisley (6 School Wynd, Paisley PA1 2DB). The meeting is open to all members and will give you the chance to meet with the board and review the credit union’s performance over the past year. We are pleased to share with you our first newsletter of 2017, last year was very busy for us at RWCU we want to share with you some of the exciting things that we as a credit union are continuing to do for our members in Renfrewshire. Interested in joining Renfrewshire-Wide Credit Union? With a wide range of products and services why would you not join? Whether you’re saving for a rainy day or looking to access ethical affordable loans then look no further than your local credit union. Credit unions are not-for-profit organisations, with NO external shareholders, our members are shareholders. Being not for profit means it’s about what’s best for YOU, not what makes the most money.